Tired of looking at the same old clouds? Check out these gorgeous new clouds, first available in the Firestorm viewer over three weeks ago. I don’t use a Third Party Viewer, so I didn’t get a chance to play with them, until Ziki showed me how to get these gorgeous clouds in the official Second Life Viewer too! Vincent Nacon created the cloud files, and has a clouds tutorial for Firestorm posted on the Second Life Forum. 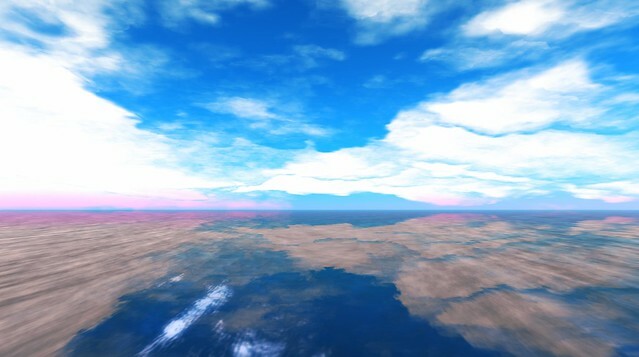 If you want these files in the official Second Life viewer, just download the clouds2.tga file, and replace the existing clouds2.tga file in your Second Life folder on your computer. Read Vincent’s tutorial to get the download links for the .tga files. 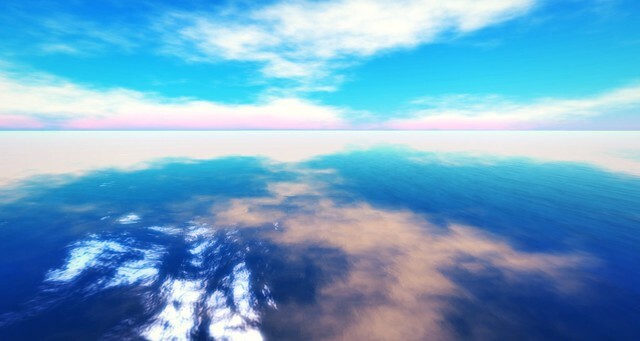 After you replace the clouds2.tga file, relog. You’ll have to do this each time you want to play with a different cloud type, at least until the official viewer includes a drop-down menu for multiple cloud options. Are you as excited about the new clouds as I am? – Open your Applications folder in the Finder. – Right click on the Second Life Viewer and from the pop-up menu select Show Package Contents. – In the list of folders you now see, open Contents, then Resources, then app_settings, then windlight. Thank you for the Mac instructions!!
" Are you as excited about the new clouds as I am? " Firestorm was late to the show, these have been around for years in most other third party viewers. Even longer on the Second Life forums as a tutorial. They didn’t do a very good job advertising this feature then, cos it’s “new to me”. Hello all! Glad you guy liked it. I had to admit that windlight is kinda limited to bring out the best of these textured clouds. Most of the old sky windlight settings aren’t always best result with these new clouds as they need some tweaking to adapt the new effect. For a better result, check out few presets for the sky that start with “Nacon’s Natural…” as all of my sky setting came with Firestorm in that same release. I think some of you might like “Nacon’s Rosey Morning”. Perfect sky for little romance mood. Sadly the changes in Firestorm require significant code changes (by Cinder Roxley), and it is not possible to set up something similar in the standard viewer by changing the UI using StarLight. Hopefully LL will pick up on the idea and develop something similar. Hi Hitomi! I hope LL implements this 🙁 Thanks for making such an amazing skin!